The Snowy Mountains Trout Festival is on again starting this Saturday the 30th October to Fri 5th November are the dates. www.troutfestival.com for more details, including weigh stations, prizes and registration forms. 93 people entered the competition with several there for the social aspect rather than serious fishing, never the less 70 anglers weighed in fish with 343 rainbow trout and 15 brown trout caught averaging 576grams clean weight. This was a record number of fish caught during the competition. 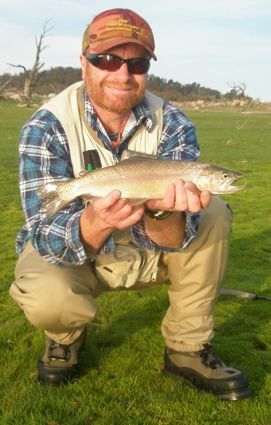 The largest Rainbow Trout caught was 943 grams cleaned caught by David Tinworth. 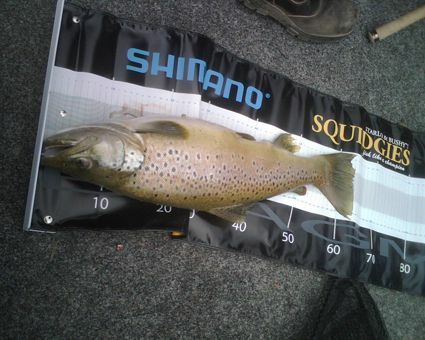 Largest Brown trout weighed 1756 grams cleaned caught by Barry Ward. The winner is judged on the best five fish for each angler, with 10 fish allowed to be weighed in over the three days per angler. This years competition winner was David Tinworth with five fish weighed in at 4588 grams. This was Davids first year at the competition and all his fish were caught trolling and mainly on Rapala lures. The fishing was excellent over the weekend with several competitors bagging out each day. Fish were caught by trolling with a wide range of lures working well and the bait fisherman had most success using Berkley Power bait and worms. Junior winner was Jake Watson who fished with his father and grandfather, Jakes five fish weighed in at 3916 grams which was sixth place overall which was an excellent result. This years event raised $14, 127 for R.P.A Haematology Unit, Sydney for research and patient care. The event is held every October at Buckenderra Holiday Village. The generosity from the fishing and boating industry is overwhelming. Rivers:- Have been fishing very well with some nice rainbows in the larger rivers and some great browns of all sizes in both the larger and smaller streams. Dry flies were working very well mid last week with the warmer weather. Nymphs are still going to catch plenty of fish too, but there is nothing like seeing a fish rise to the surface to take your offering. If the weather is warm then eveing rises are on the cards. The Eastern streams are still worth a look now before they get too hot in the coming months..
Lake Eucumbene:- Has started in earnest. Fly reports have really picked up with some good numbers though quality and size varies. Rising water and bankside growth has been excellent and numbers of insects have improved and fish feeding patterns along with it. Warmer days have been best with even cool Easterlies giving good fishing on an appropriate bank. Stay back from the edge when searching as ther have been fish tailing right in the shallows early and late in the day. *Mick and Sturg had a good session early last week landing several nice fish between them. Sturg was wearing his brand new waders and loved them so much that he didn't want to leave the water. Might be time for a new nickname. Hippo, Water Rat, Black Duck spring to mind. Great fun fishing. Note the lush banks. *Following suit I had two sessions on the lake last week and managed a few nice bows. Stick caddis and beadhead nymphs worked well. No photo's but I did get some video footage which can be viewed by clicking this link below. *Ivan Maric from Sydney had a great time testing out his new fly gear in the Middinlingbank arm catching a dozen fish in no time at all. Managed a trip to the Seven Gates area last Thursday/Friday fly fishing from the bank. Was the first trip for about a year so made the most of it and fished through the night. Ended up getting ten to the shore but probably missed nearly as many again. Almost all were solid rainbows around the kilo mark in good condition, with a couple of smaller fish and a fat brown which went a bit better than a kilo. All fish were caught on the same fly, a small wet (size 8). Best fishing was from grassy bays and near any rocks. Quite a few fish were hitting the fly close in so you needed to strip all the way in  even in the shallow bays. Busted a few off early on by not concentrating at the end of the retrieve and eventually picked up a few that hit (especially around the rocks) as I was about to lift the fly out of the water. Good fun but I did tie on some stronger tippet to avoid a break-off. Kept a couple of the bigger fish, which were full of stick caddis and a few small mudeyes and black beetles and yabbies for the brown. Very little surface activity but it paid to cover most territory as the fish were around even in the shallow areas  maybe due to the lake coming up a bit from the rain earlier in the week? Anyway a pretty successful trip for me so hope to get back sooner than a year for the next one! Going to be even more great fishing over the coming weeks. Some good browns have been seen and caught on the Western side but can be a here today gone tomorrow scenario. Midge numbers are good and the fishing is getting better and better. 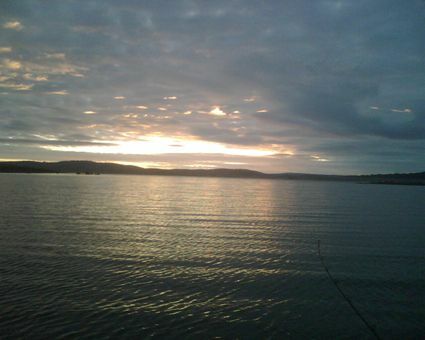 Lake Tantangara :- No reports though it should fish very well with the increased level. The lake which had been dropping and fishing well is now back up to 37.4%!! so it will be interesting to see what it does with some warm weather. The lake could fire again as it warms and clears. I would suggest it is well worth the look especially if you are fishing the Eucumbene river and want a break from catching river rainbows. 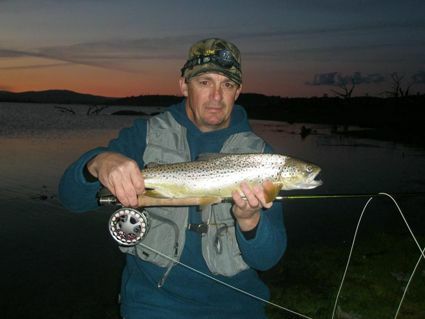 *Brad Smart caught a 1.98kg, 56cm brown trout at Buckenderra last week on a green Tassie devil. *Mick and Adam had a thirteen fish session last week with Smilin jacks in gold taking the fish. Leadcore and downrigger worked best. 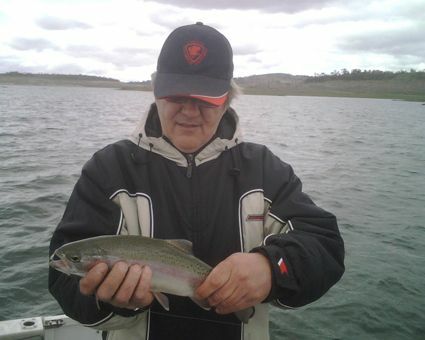 *Ivan Maric and his father trolled up thirty quality fish in morning session last week. Number 48 Tassie was a killer. They lost an absolute monster at the net which was estimated to be 80cm -100cm long. They had the head in the net but it still managed to escape. Something they won't forget in a hurry. The mates and I travelled to Lake Eucumbene every year in October for a week and fish around Cobrabold Bay for the week. 4 boats and 7 fishos. This year the fishing was exceptional. Over the week we must have landed in excess of 200 fish between us, the majority were on Tassies flat lined and down rigged. We only kept about 20 fish total. About 5% of the time was spent bait fishing. Lots of Rainbows around 1kg some browns around the same weight. The flat lining was on Tassies, it didnt matter what colour you threw out the fish hit everything with a lot more gusto than last year, and the general rule was out a long distance behind the boat (anywhere from 60-100 meters) and the slowest troll speed your Tassies would dance at, concentrating on around 9 metres of water. Here are a couple of pictures we snapped. The third one is a large brown. (I know the mat looks wrinkled and it is. We didnt notice until later.) It did come in at 59cm on the official measure. The fourth one is one of the reasons why we still keep coming back after 15 years. Jindabyne was a tough fishery for trolling on Saturday, we battled rain, and gusty north westerly to south westerly winds for only three legal fish. Interestingly all were Atlantic Salmon under a kilo. 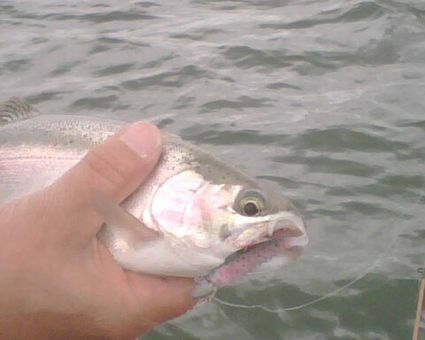 The trout seemed to be shut down during the day, the only takers being two undersized rainbows. We ran a spread of lures from flatlined tassies and small rapala/predatek shallow diving minnows (in trout patterns), plus larger Rapala F-13 on leadcore. Each accounted for fish, but the consistent taker with a few dropped fish as well were the shallow diving small minnows. Best area seemed to be in 40-50 feet of water between Lion Island and Curiosity point.